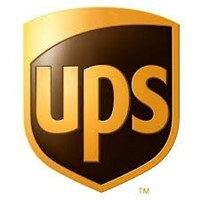 Low Voltage Garden Lighting - Made Easy! 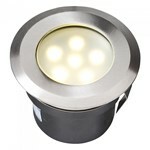 If you are thinking of lighting up your garden, take a look at our plug and play garden lighting range. Save money by doing it yourself - A complete lighting systems can be installed safely and easily without the need for specialist tools or knowledge. And because it operates at 12 volts, you’re assured that your finished lighting scheme will be safe to use - ideal where there are children around. 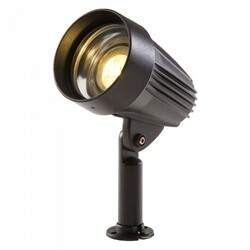 Our plug and play garden lighting range comprises recessed ground and decking lights; wall lights; free-standing bollards and spotlights. 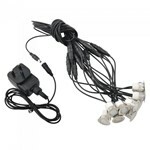 A comprehensive set of accessories are available including extension cables and transformers. 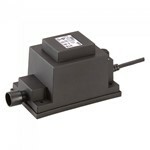 You can automate switching by selecting the optional remote controller and photocell. Virtually any lighting scheme is possible, there are light fittings to illuminate driveways, patios, flowerbeds and doorways. 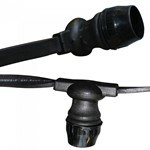 All fittings are inter-connectable and a weatherproof connection is achieved by simply screwing together by hand. Whatever scheme you decide on, the whole system is powered from a single 12v transformer - Just total-up the wattage used by the fittings on your system, and select the appropriate rating of transformer. You can easily extend or alter your lighting scheme at a later date, and all fittings come with a 3 year guarantee as standard..
A plug and play system for garden deck lighting.